The roof of a house is composed of many shingles providing protection to those beneath it. For the global corporatocracy, these shingles are composed of several types – their media monopoly and the narratives they spin, monopolies over economics, infrastructure, and the use of force, and Western-style “democracy” where in the people are granted the illusion of self-determination in place of true freedom and control over one’s destiny. Thaksin Shinawatra owes his significant backing from the West partly to his ties to Wall Street’s corporate-financier elite stretching back to the late 1990’s when he served as an adviser to the notorious private equity firm, the Carlyle Group. Indeed, while Thailand is technically under the premiership of Thaksin’s sister, Yingluck Shinawatra, by his party’s own admission, Thaksin is still literally running the country. 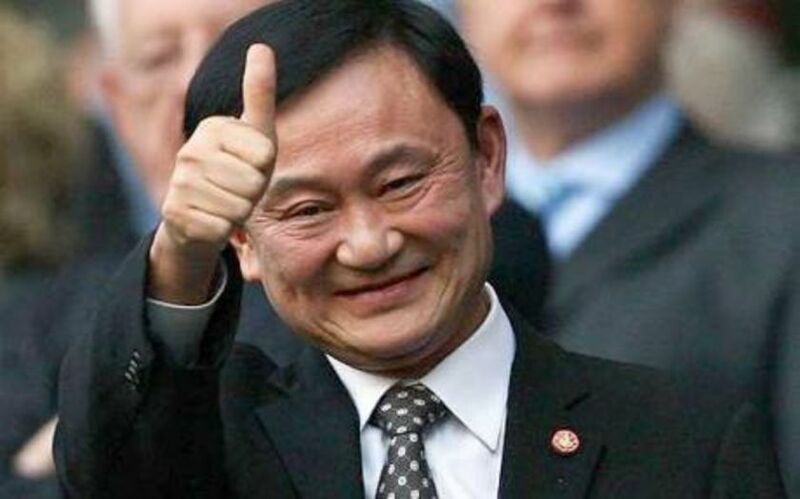 The election campaign slogan for general elections in 2011 was literally, “Thaksin Thinks, Pheu Thai Does” (Pheu Thai being his political party). Both Forbes in their article, “Thaksin in Exile: Advising Sister, Digging for Gold,” and the New York Times in an early 2013 article titled, “In Thailand, Power Comes With Help From Skype,” would quote Thaksin Shinawatra himself and several members of his political party admitting as much. There is no question that an accused mass murderer and convicted criminal hiding abroad from a 2 year jail sentence, multiple arrest warrants, and a long list of pending legal cases, is illegally running Thailand by proxy. Being unelected, Thaksin Shinawatra is by all accounts a dictator, and his “government” a regime, however cleverly they try to dress it up. 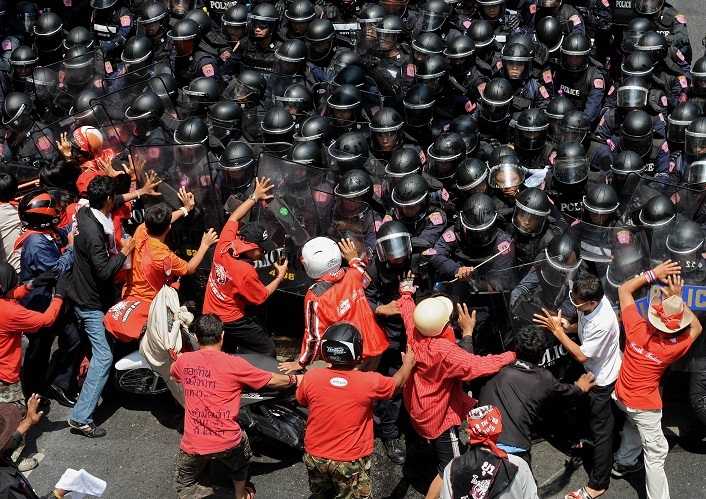 Starting in October 2013, continuous street protests have begun increasingly putting pressure on Thaksin’s regime. As in the past, Thaksin’s instinct was to call for “elections” to grant himself and his Western backers the “democratic” stamp of approval. However, general elections held on February 2, 2014 backfired on him. Over 50% of Thailand’s eligible voters outright boycotted the elections. Of those that did vote, many defaced their ballots or filled in “no vote” in protest of both Thaksin Shinawatra’s proxy regime and the hijacked electoral system it is presiding over. Another of Thaksin’s favorite ploys has been mobilizing large street protests, and in particular, busing in large numbers of supporters from his northeastern political stronghold into the capital of Bangkok. This is meant to exhibit his regime’s popular support to augment his “democratic” mandate. 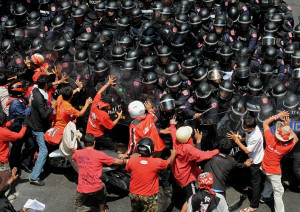 In 2009 and 2010 large mobs mobilized by Thaksin and his political machine turned parts of Bangkok into warzones, leaving many dead and many more injured. In 2010, over 90 people would be killed and widespread arson would consume several landmark buildings belonging to Thaksin’s opponents in downtown Bangkok. However, his ability to muster such mobs has diminished, with many of his traditional supporters, particularly Thailand’s rice farmers, not only turning on Thaksin Shinawatra and his proxy regime, but going as far as joining with anti-Thaksin protesters in Bangkok.While Thaksin’s Western backers, through news reports and editorial columns, have tried to portray the ongoing political crisis as “Bangkok’s elite” versus the “rural poor” supporters of Thaksin Shinawatra, images of large convoys of rural rice farmers traveling to Bangkok to protest the regime have exposed this as yet another part of the facade. The Thai military has remained on the sidelines, knowing that a second coup would only fuel the regime’s desire to use terrorism and bloodshed to cling to power. Instead, Thailand’s courts have finally been given the opportunity to sidestep Thaksin Shinawatra’s political and legal impunity – with his diminished reputation, legitimacy, and support – and finally begin dealing out much needed, and long-delayed justice. In response, the regime has lashed out with overt threats of violence directed at protesters, opposition leaders, and even the courts themselves. 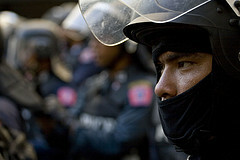 Thaksin Shinawatra’s street mobs, known locally as “red shirts,” had even gone as far as surrounding the National Anti-Corruption Commission building in northern Bangkok, targeting it nightly with gunfire and grenades, with several “red shirts” even being arrested with AK-47s, M-79 grenade launchers, shotguns, pistols, and hand grenades similar to those used in other attacks on independent agencies and protesters. The violence has so far only emboldened protesters while vindicating their cause – and the desperate lashing out is seen by many as a concession of the regime’s unraveling legitimacy, popular support, and political viability. 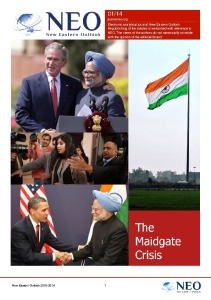 It also undermines the credibility of the regime’s many, eager backers in the West. For Thaksin Shinawatra’s backers on Wall Street and in the City of London, his permanent removal from power would serve as a blow not only to their agenda in Thailand, but in efforts to destabilize and overthrow political orders across Southeast Asia. 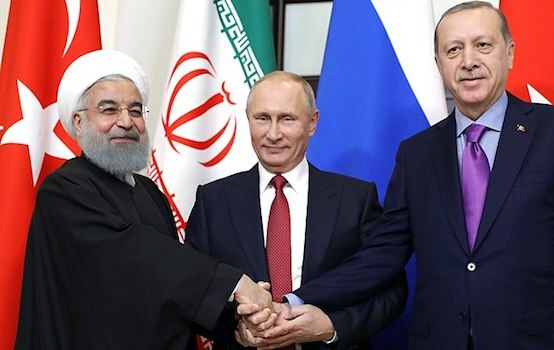 A regional reversal of influence in Southeast Asia would in turn embolden other targets of Western meddling to dig in and fight back, particularly those in the Middle East and Eastern Europe where intensified Western-backed destabilization has been ongoing since 2011. Despite Thaksin’s increasingly violent and desperate methods of clinging to power, the West has elected to continue backing him. The narrative has shifted from “class struggle” and “democracy” to the myth of an impeding “judicial coup.” Thomas Fuller of the New York Times single-handedly exposes the absurdity of such a notion in a piece he intended to help bolster this very narrative. In title alone, his article, “In Thailand, Some Foresee a Coup by Legal Means,” betrays commonsense. On Monday, Ms. Yingluck appeared briefly before the National Anti-Corruption Commission, which is pursuing a case against her on the grounds that she did nothing to stop alleged corruption in a rice subsidy program. If the commission finds that there is a prima facie case, she will be suspended as prime minister, a decision that could come within weeks. This power struggle between Ms. Yingluck — whose Pheu Thai party retains strong support among voters in the hinterland — and judges and agencies in Bangkok that want to blunt what they see as a destructive populist movement that encroaches on their power has been a central undercurrent of the five months of political stalemate. The prospect that courts and agencies will remove Ms. Yingluck, and potentially her entire cabinet, from power is being described in Thailand as a judicial coup. Fuller skips past the recent flopped elections in February which directly contradict his claim that the regime “retains strong support among voters in the hinterland,” and proposes that the courts are merely part of an elitist move to preserve their power from being usurped by a “populist movement.” While he mentions briefly, “alleged corruption in a rice subsidy program,” he never fully addresses it. Doing so would fully explain why the courts have had “antagonistic relationships with Ms. Yingluck and her party,” as Fuller puts it, and exactly why the notion of a “judicial coup” is absurd. “Judicial Coup” or Well-Earned Justice? The “rice subsidy program” Fuller touches upon, is in fact now at the center of the regime’s collapse. It was a vote-buying scheme introduced as part of Thaksin Shinawatra’s 2011 general election campaign. Thaksin’s political party promised to offer well over market price per ton of rice for Thailand’s farmers in exchange for their votes. Thailand, which had been the leading exporter of rice in the world, almost immediately felt the shock of this ill-conceived scheme. Importers almost immediately began turning to Thailand’s neighbors for rice, leaving Thai rice sitting unsold and rotting in government warehouses. By January 2013, it was reported that Thailand’s rice exports reached a 10 year low, with Thailand losing its spot as top exporter. Compounding was also a problem with traders bringing in rice from neighboring countries to be sold to the regime at over-market prices. Money that was supposed to be going to Thailand’s impoverished rice farmers was instead going to middlemen and farmers in Cambodia and Myanmar. By the summer of 2013, the regime’s treasury was entirely looted by the scheme – promised subsidy prices were slashed before payments to farmers for rice they had already turned in were halted altogether. As protests were flooding the streets in late 2013 and early 2014, thousands of farmers had been left unpaid for over half a year – a fact Fuller elected to omit. In their desperation, many farmers mired in growing debt, began turning to suicide as a way out. Others have joined the protests growing in Bangkok, while others still have turned to blockading roads across Thaksin’s alleged political stronghold in northeast Thailand. In other words, what NTY’s Thomas Fuller calls Thaksin Shinawatra’s “populist movement” has managed to not only destroy Thailand’s rice industry, but also the livelihood of the millions of people who depended on it. Surely both the scheme itself, and the corruption, mismanagement, and resulting mass of unpaid, desperate, cheated farmers constitutes a myriad of very real crimes. Thailand’s courts and other independent agencies investigating and putting on trial those responsible, including the prime minister herself, surely is not a “judicial coup,” but rather sorely needed and severely delayed justice. Thomas Fuller, parroting the narrative crafted by Thaksin Shinawatra’s extensive collection of Washington lobbyists, claiming that courts persecuting a political party for obvious and egregioius crimes committed at the expensive of millions of people, is nothing more than a large-scale example of a common criminal screaming, “the judge had it out for me,” as he is dragged off to an awaiting jail cell. The narrative of a “judicial coup” is the West’s last retrenchment in the defense of Thaksin Shinawatra as well as the model of Western-style “democracy” he has used and abused to advance his and his foreign backers’ agenda in Thailand for the past decade. Regardless of what comes next and what dedicated propagandists like Thomas Fuller scribble across the pages of the West’s newspapers, the facts on the ground in Thailand indicate that Western-style “democracy” has completely unraveled. Recent senatorial races held in March saw even lower turnouts than the failed February general elections, signifying the complete breakdown of the “democratic” process in Thailand. Little can be done to restore a system so flagrantly abused, and while many continue to defend the notion that the only solution to Thailand’s current political impasse is “more elections,” the reality is that crimes have been commited, and crimes are settled in courtrooms, not at the polls. For those truly and genuinely dedicated to the principles of democracy, defending a regime so flagrantly abusing them only further damages the public’s confidence. For the West who has hid its hegemonic designs behind its so-called promotion of “democracy” worldwide, the breakdown of its facade in Thailand could become infectious. Should Thais reform and restore representative governance in their country their own way, it will provide a template for reforms neighboring nations can use to root out foreign aspects of their political systems that have allowed the West to meddle within their internal affairs.